Stay in Style in Indian Wells! Location, Location, Location! This one level 3 bedroom, 3.5 bath, pool/spa,gated home is surrounded by multi-million dollar homes of Eldorado, Vintage and Indian Wells Country Clubs. 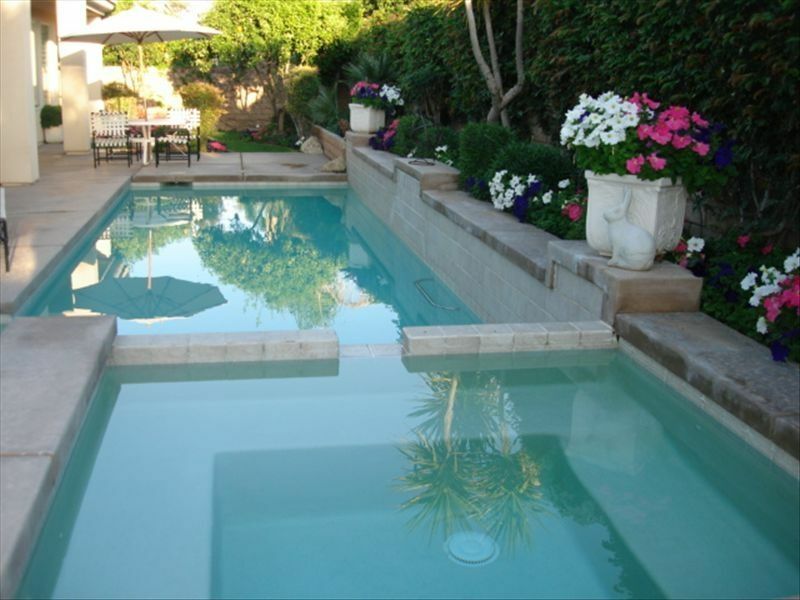 Conveniently located close to "The Vue" at IW Club, Golf Courses and Tennis Tournaments. You Deserve It! Enjoy this bright and cheerfully decorated executive home with all the amenities for a relaxing and enjoyable vacation. Surround yourself in luxurious linens, 'Sleep Number Bed', fine appointments and fully equipt kitchen. Rejuvenate in the magical setting of your own backyard with gas barbeque, private pool, jacuzzi spa and peaceful views of the Eisenhower Peak and Santa Rosa Mountains. Shop, Spoil, Splurge! Stroll Palm Canyon Drive in Palm Springs or El Paseo in Palm Desert to experience each city's eclectic wares and local character. Or make a day of it at the Desert Hills Premium Outlets in Cabazon or Westfield Palm Desert Mall. Indulge Yourself! Restaurants offer an awesome mix of eclectic cuisines with ambiences from casual, to elegant, to lively. This property is available long term (minimum 1 year lease) at $5,000 per month, furnished. High season rental fee is $7,000 per month (minimum 30 days). Long term tenant to put utilities in their name. Water, pool, and gardener will be paid by landlord. Short term (minimum 30 days) tenant to pay utilities over a set amount per month. Water, pool, gardener and bi-monthly housekeeping paid by landlord. Call landlord for further details.